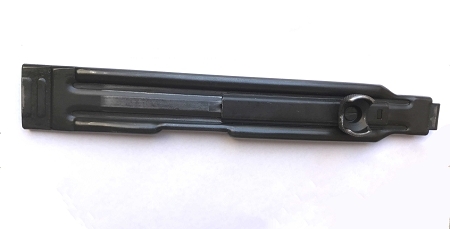 Uzi original IMI Full Size SMG (ratcheting) top cover. Condition is used and will vary from good to very good. USBS has quality products, reasonably priced, and they ship FAST. I just ordered a SA bolt from them. Their price was in line with the other vendors AND they ship FASTER. Will continue to order my Uzi parts from them. I purchased this top cover to replace the one on my Century semi Uzi clone. It is much thicker and more robust than my factory top cover. Cleared up my clearance related issues and now my Uzi runs flawlessly! IMI Top cover is like new condition! Excellent replacement! part was shipped super fast, was in better condition than I had expected. Installed and went shooting. Can't ask for any more than that. 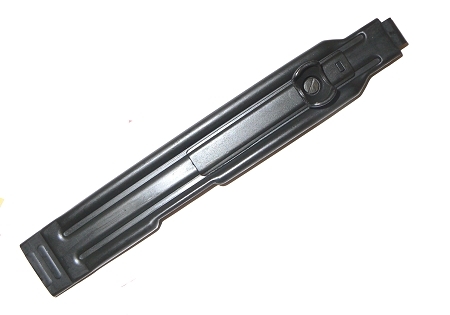 USBS is the best source for UZI parts, will continue to do business with them. Super fast shipping and handling, product as advertised and works great! Copyright US BARREL SHROUDS. All Rights Reserved. eCommerce Software by 3dcart.